Hot shot trucking, also referred to as Less Than Truckload (LTL), is a less demanding kind of trucking specifically intended for freelance truck drivers. Hot shot trucks are smaller than standard trailers and semi-trucks. With the world of freelance-everything rapidly expanding, many people are looking for ways to start their own business and operate independently, dictating their own schedules and managing their own finances. The term “hotshot” is used in the trucking industry to refer to the truck and/or freight. Usually, a Class 3-5 truck is used to tow a variety of trailers for freight purposes, though there are exceptions. Still, the truck used in combination with a trailer is usually one of the big three US vehicle manufacturers’ ¾ to 1.5 ton cab-and-chassis pickups or rigs equipped for weight distributing gooseneck or even fifth-wheel type link-up to a trailer. A truck would only be considered a “hot shot” is it can handle a minimum load of ¾ ton, has a diesel engine and is licensed to transport up to 36,000 pounds. With this kind of arrangement, hot shot operators can ferry huge quantities of products without having to sign a long-term obligation contract. This is another major benefit of starting your own business with a hot shot truck loan or lease. Due to the nature of what you are legally allowed to transport, you aren’t locked into any long-term agreements that could make transportation unprofitable if market conditions, or even the price of gasoline, change. Do hot shot truck trailers require special equipment? With hot shot trucking, the most important consideration is the permitted payload by an automaker. You won’t get much payload from a normal tow hitch on the truck’s bumper. The biggest pickups offer a maximum bumper-pull tow of about 18,000 or 19,000 pounds with both the bed and short cab. If you use a bumper-pull trailer with 2/3 foot dovetail at the rear, you will further reduce the payload maximum depending on the weight of the trailer. So, with a 20-ft bumper-pull trailer weighing 9,100 lbs, the maximum trailer payload would be under 9,000 lbs. You need to balance between the truck payload, trailer and cargo weight, especially since a bigger truck would result in more fuel consumption. Do you require a special license to operate a hot shot truck trailer? 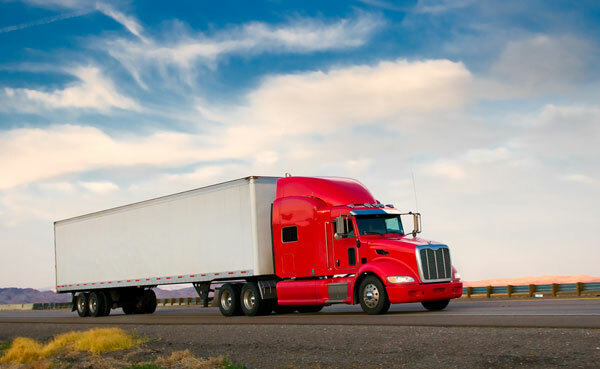 US law requires that all vehicles with a gross vehicle weight rating (GVWR) of 10,000 and 26,000 pounds be driven by an operator possessing a commercial driver’s license, CDL A or CDL B, respectively. Although the truck may have a GVWR of less than 10,000, the fact that you will be towing requires you to get a CDL license. You will need to keep this license on you at all times, especially when your business and your ability to operate hangs in the balance. Can hot shot truck trailers be leased or rented? Hot shot trucking requires you to match a truck to a trailer so you can carry the load you want. Different trucks have different towing loads, plus you may need to use a different type of trailer every time you consider hot shot trucking depending on the nature of the load. So, leasing allows you to use the most appropriate truck and trailer combination for your needs for only the duration that you need it. Whether you need a truck loan or a truck lease, the experts at Truck Loan Center have access to a wide range of financing options all over the country, traditional and nontraditional, to help you get the financing that works best for you. When it comes to hot shot trucking and owning and operating your own business, whether it’s short term or long term, a truck loan or lease can make a world of difference in the quality of vehicle you are able to purchase, and the amount of money that you save over the long and short term.